This was the final product. A little too moist, and very crumbly. I love it! A freshly baked loaf smells fantastic! 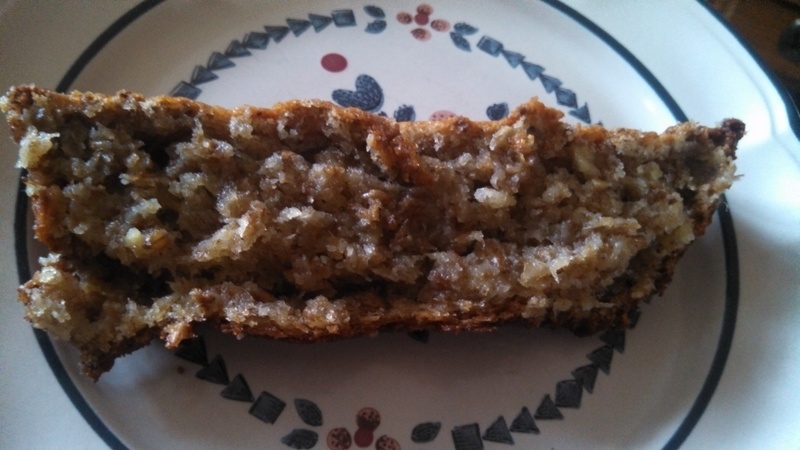 I really wanted banana bread with more of a banana like flavor. So, I decided to adjust the recipe and use wet spent grain (straight from the mash). I like wet spent grain, as it has larger particulates in it, and in my eyes, a richer flavor. It also feels as though more of the fiber is left intact. 1 cup wet Spent Grain (I used the stuff from the cheesecake stout that we are bottling tonight). 2. Heat the butter in the microwave for 30 seconds, and cream in the sugar. Stir the eggs to the mixture. 3. 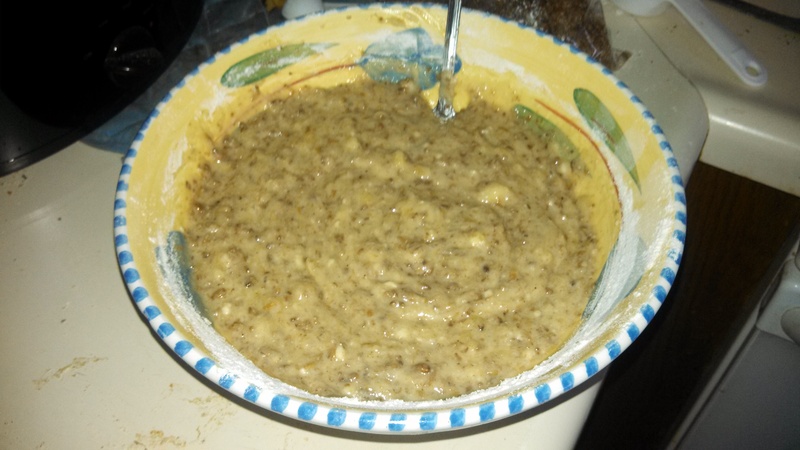 Smoosh the bananas on a plate with a fork, add them into the wet mixture. 4. Stir in the salt and baking powder. 5. Add the wet spent grain into the mix. 6. Finally, stir in the flour. 7. Butter the bread dish and pour in the batter. 8. Bake it in the oven for 1 hour and 15 min (or until done). Let cool and enjoy! 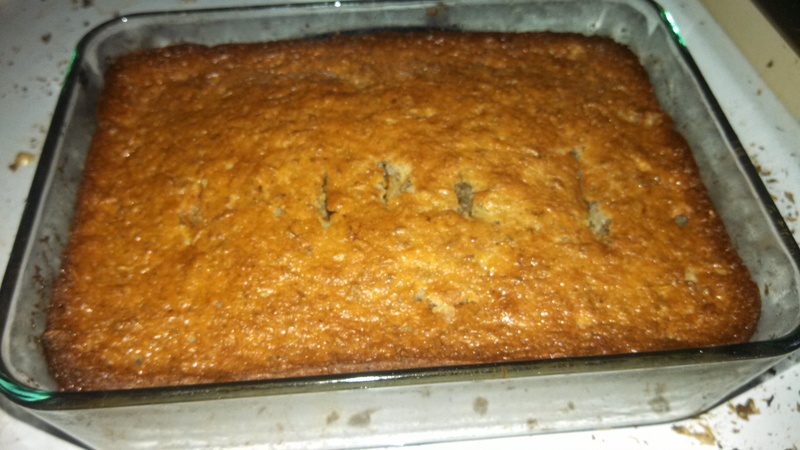 This is what the banana bread looked like before transferring to the oven. In retrospect, I think a little more flour would be helpful. Spent grains don’t coalesce like flours do. But the taste is amazing! So I would definitely make this again, reducing the wet spent grain by 1/4 c.